“Hear this, you who trample on the needy and bring the poor of the land to an end, saying, “When will the new moon be over, that we may sell grain? ITALY, 1986: 23 casualties, tens of intoxications with cases of permanent neurologic damages and blindness due to adulteration of wine with methanol, added , instead of sugar, by one manufacturer to the grape must to chaptalize the wine. U.S.A, 2008: 6 infants dead and thousands hospitalized with cases of kidney stones and other renal failure for ingestion of powder and liquid milk from China containing melamine, added to increase the apparent protein content. SIBERIA, 2014: 6 workers of a cheese factory fired to have bathed bare-chested into the raw milk vats used to produce the cheese. A further investigation discovered that 49 tons of cheese were manufactured and sold in 14 cities. UAE, 2017: 1300 tons of rotten food discovered in Dubai: fruit, vegetables and meat, all unsuitable for human consumption, ready to be sold to poor people. In this case, fortunately, the fraud was discovered on time. Unfortunately the food frauds have always been part of our lives. Since Amos, the Biblical prophet, to modern times, there has been a continuous sequence of tricky machines, adulteration, false information and certifications. It’s definitively time to change the story. With buying a fake Rolex Submariner, the worse that can happen is it one day stops ticking. One fake Louis Vuitton Neverfull, if overloaded, could fall on the ground leaving the handles hanging down by your shoulders. But what if you ate a grilled fillet of cod caught in the North Sea when in reality it’s plenty of mercury pangasius fillet caught in some polluted lake in South-East Asia? You buy a bottle of “Extra-Virgin Olive Oil 100% Italian” to later discover it’s Tunisian regular oil with visual and/or organoleptic faults corrected with artificial flavours and colourants. As stated above, putting adulterated food in our bodies is not simply unhealthy; it can be extremely dangerous and potentially deadly. What can be done to ensure that what arrives on our table is controlled, healthy and safe? A first step in this direction has already been made, a kind of Food Revolution 1.0. 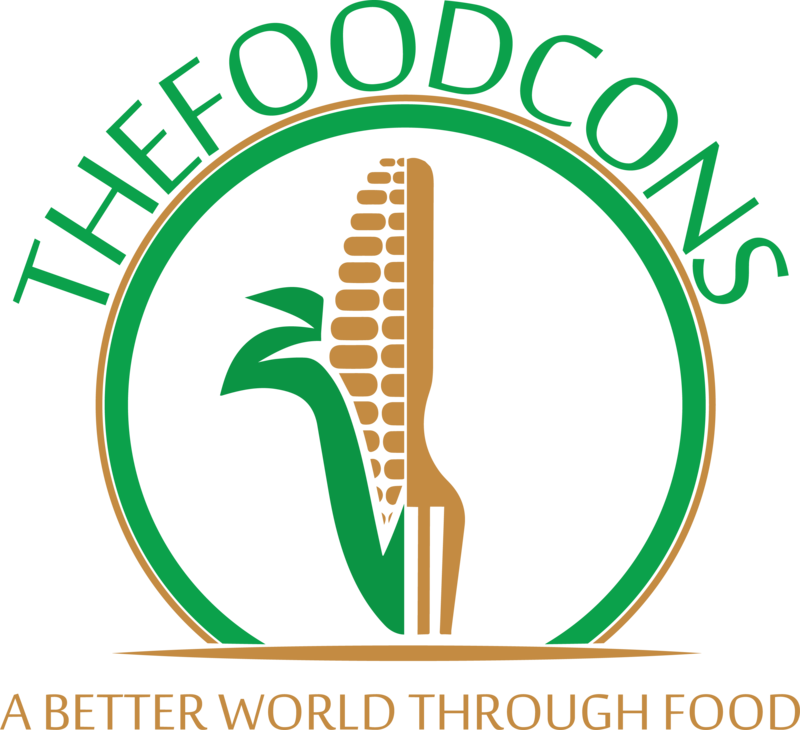 In fact, we may rely on various non-profits and independent organizations such as Slow Food, Fair Trade, Oceana and tens of consortiums which safeguard the end users through carefully checking the farming, harvesting and breeding, raw materials origin, procurement and quality such as manufacturing and distribution processes. Over the last year, the EU governments have instituted various boards and commissions, such as the “EU Food Fraud Network” or realized schemes like PDO (protected designation of origin), PGI (protected geographical indications) and TSG (traditional specialties guaranteed) to control and assure the quality of what we put on the table every day. All those things are great but they need one element to go on: TRUST. For sure, all of us rely on an independent organization who shares values such as integrity, social and environmental responsibility and supposedly works for consumers’ needs and health. Switching to politics and politicians, the things may change. Without going into detail, there are countries where people trust completely their governments and others where the people don’t trust their governments. The world of business has been changing so much for the last decades, and food is no exception: need or wish to cut the costs, pursuit of new, exotic tastes to stay one step ahead of competitors and satisfy a still more demanding consumer base, business expansion projects to enter in new markets. All that has driven the companies to relocate or open new manufacturing sites, sourcing new suppliers, distributors or agents at a global level, making the supply chain management really complex and challenging. More actors, more stakeholders, more geographical spread means more money, yes, but also more risk. Operating with people of different cultures, in countries with less hygienic rules, and less law enforcement may bring more risks of low quality, not conformity or even contaminated goods. In fact, in a “common” or “standard” supply chain, the master company can maintain the control of one tier of suppliers and one tier of customers, as exemplified in Figure n.1. An “excellent” supply chain allows the master company to maintain control of 2 tiers, up and down: the suppliers of their suppliers and the customers of their customers, as in Figure n.2. A complex food supply chain may contain 3 or 4 tiers, or maybe more so how do you manage it? One solution may be with blockchain. Introduced by Bitcoin in 2008, this protocol has been adopted by all others cryptocurrencies and web-platform such as Ethereum. Ethereum is actually the most used platform for the creation and distribution of smart contracts. A smart contract is a contract for all intents and purpose, but managed electronically. It is “smart” because it includes various interesting features, such as self-execution, auto-enforcing, immutability and self-negotiating without intermediaries, third parties or escrow agents, making them a safe and faster way to manage a business. 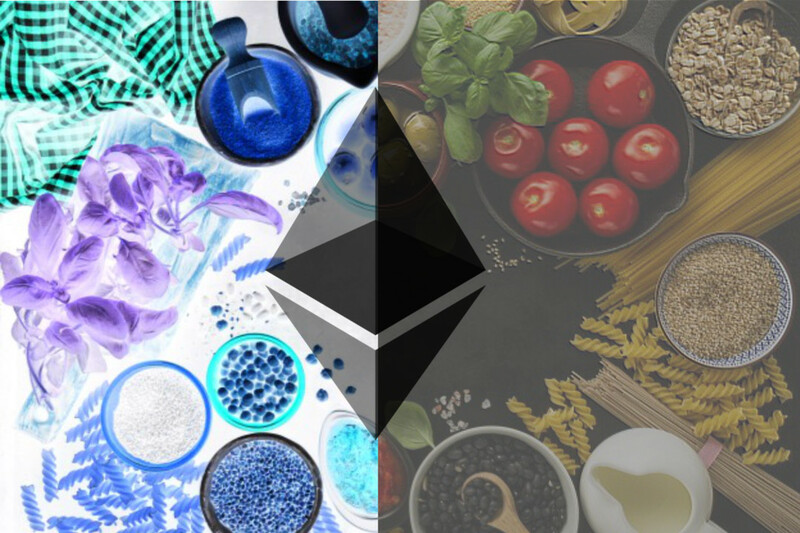 With all these characteristics, a food or pharma supply chain managed with smart contracts may be leaner, more secure and have less management costs. But the technological progress of the supply chain doesn’t stop with smart contracts, as it has not stopped with RFID. Imagine being able to equip all your supply chain actors, plants and warehouses as raw materials and finished goods packages with smart-labels, sensors, tracers and cameras able to perform the count of the goods, quality control, chemical and biological tests, keep monitoring the traceability of the products, the integrity of the package, and many others functions, on all inbound and outbound goods and then register all the data into the blockchain. By way of example, you could create and register a smart contract for cocoa supply stating the country of origin, the type of cultivar and beans fermentation grade. The technological equipment would control crops, harvest, fermentation sites, storage and transportation, reporting immediately about any mismatch or discrepancy with respect to what is stated in the smart contract. As simplified in picture number 3, a supply chain managed in this way would reduce the risks to zero and allow to extend the control to a n-number of tiers, up and down. But it’s still not enough; the last point of a food or pharma supply chain is the final user, who through an app would be able to scan food products or medicine and get instantly a detailed report about what he/she is buying. It looks and sounds like a dream? Not with Ambrosus. AMBROSUS: dynamic, disruptive and ... dandy. Maybe the phrase on the homepage and the three Ds are not enough but they perfectly describe this still small company with great potential, which plans to radically change the food and pharma supply chain. These guys get real: they have been backed by Swiss governments with 30,000,000 CHF and on 22nd October, they ended pretty successfully their crowdfunding through the ICO Ambrosus Token Generator Event, TGE. On 26th and 27th October, Ambrosus will be a finalist at Hello Tomorrow, in Paris, a global summit reuniting 75 disruptive selected startups in 10 sectors, experienced leaders of big corporations and potential investors. The CEO and co-founder, Angel Versetti, is actually engaged in a roadshow through all of Europe to propose the product and expand the business. Does it seem like they are annoying? If you liked the article and think Ambrosus could have a positive impact on the food and pharma business, feel free to share this with your network.